Tinola, the Pinoy version of the chicken soup and like any other chicken soups it gives you that comforting effect even the ill feels relieved. Having said that soups like this will always be good for the cold and rainy days. 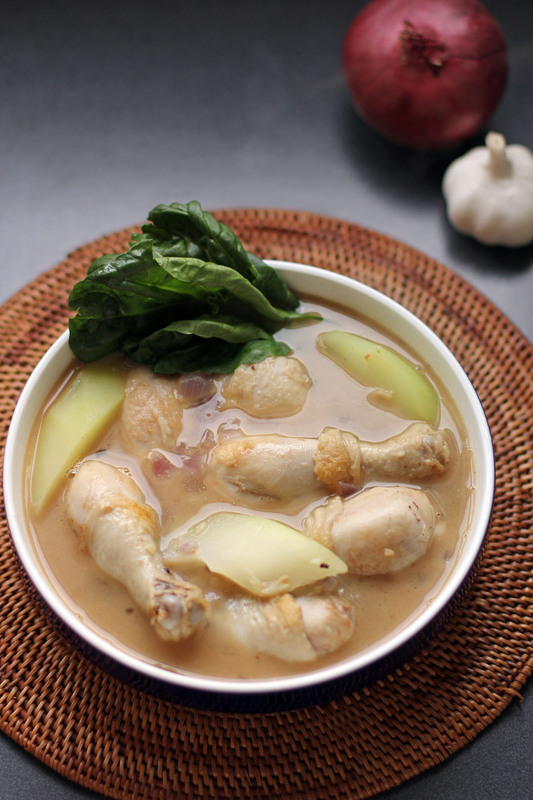 So what’s the difference with this Filipino version of the chicken soup? I’ve never seen chicken soup with whole pieces of chicken. That looks really good. I like the use of ginger too. That would be a fabulous healing soup! you tinola looks sooo good. now Im hungry. i will definitely cook this tomorrow! Looks like a comfort food at it’s best. This is totally comfort food! I can have it any time of the day! I love chicken soup with chicken pieces on the bone, looks so hearty. This looks so soothing and hearty. I love the ginger element. I love looking at variations on a old favourite. This is definitely going in the ‘comfort me’ food files, for next time I have a blue/or rainy day! this is one of those dishes that soothes the soul!